I first fell in love with Chris Grabenstein's works when I read Escape From Mr. Lemoncello's Library. I had just begun my "nerdy" journey (well, some may argue I've been on it for much longer than that....) and it was one of those books. A book you couldn't wait to get in the hands of kids. I knew it was a book I would be book talking and sharing when school started in the fall. Since then, I've book talked it, talked about it with readers, bought copies and replaced copies in my library. We've seen Mr. Lemoncello sequels and other books written by Chris Grabenstein published. Now, I'm excited to share with you another Chris Grabenstein series, especially since it's time for book 2! features a fast-talking, outrageous story-spinning character that kids are going to love, and his partner - a smart, quick witted girl! The second book in the series was hysterical to read. With a rock star who has diva-tendencies, complete with groupies and lots of temper tantrums and talent that may exist only in his eyes and who may or may not have similarities to certain rock stars today, kids are going to be laughing out loud with the escapades, or should I say tirades, this character has. The character of the famous actress will appeal to readers' hearts as she grapples with the price of fame. And then there is the youtube made famous monkey. We all know how cute those animal internet stars are! This time the evil villain is right next door. As in the hotel next door. The owner and his scheming daughter are just sure they will be able to buy the Wonderland away from the Wilkie family. But if you know anything about P.T., you know there will be an idea that is sure to spin one heck of a story and save it all! Love that Mr. Stroh gets to make an appearance in this book! Ready to visit Wonderland - well, at least through the pages of the book? Random House has generously donated a copy to one lucky reader! Open to residents of the U.S. and must be 13 years old to enter. Enter below and cross your fingers! Giveaway is open until Wednesday, June 21 at 5pmEST. 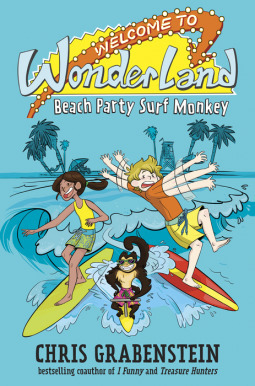 Find Welcome to Wonderland: Beach Party Surf Monkey at your bookstore and library now! 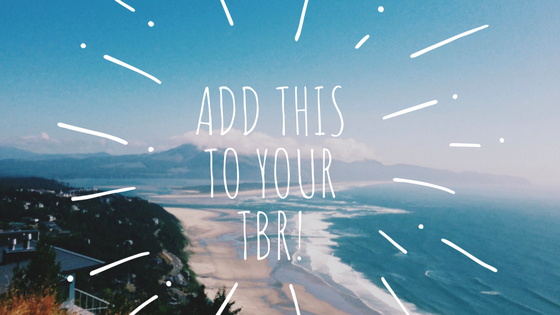 As always, happy reading!